The cell cortex is a network of actin, myosin and associated proteins that lies under the plasma membrane and determines the shape of most animal cells. The cortex enables the cell to resist externally applied stresses and to exert mechanical work. As such, it plays a role in normal physiology during events involving cell deformation such as mitosis, cytokinesis, and cell locomotion, and in the pathophysiology of diseases such as cancer where cortical contractility is upregulated. Despite its importance, little is known about how the cortex is assembled and regulated. As the cortex is an intrinsically mechanical structure - its biological activity results from its ability to contract and to exert forces - its physiological properties cannot be understood in isolation from its mechanics. The main focus of the group is to understand how these mechanical properties are determined by the molecular components of the cortex and how these properties are regulated, locally and globally, to drive cellular deformations, particularly during cytokinesis and migration. Koenderink GH & Paluch EK (2018). 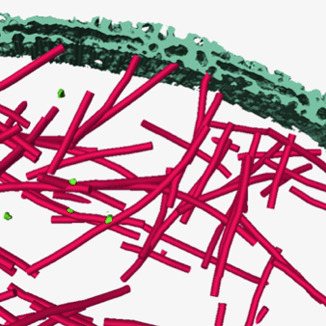 Architecture shapes contractility in actomyosin networks. Curr Op Cell Biol. 50:79-85. Chugh P, et al (2017). Actin cortex architecture regulates cell surface tension. Nature Cell Biology, 19, 689-697. Chalut KJ & Paluch EK (2016). The Actin Cortex: A Bridge between Cell Shape and Function. 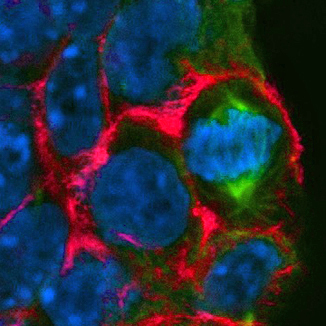 Developmental Cell, 38, 571-573. Bergert M, et al (2015). Force transmission during adhesion-independent migration. Nature Cell Biology, 17, 524-529. Bovellan M, et al (2014). Cellular control of cortical actin nucleation. Curr Biol, 24:1628-1635. Biro M, et al (2013). Cell cortex composition and homeostasis resolved by integrating proteomics and quantitative imaging. Cytoskeleton, 70:741-754.